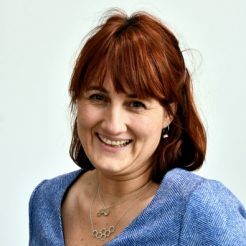 Professor Perdita Barran is Chair of Mass Spectrometry in the School of Chemistry and Director of the Michael Barber Centre for Collaborative Mass Spectrometry. She graduated from Manchester University with a degree in Chemistry with Industrial Experience (1994), and from Sussex University with a PhD in Chemical Physics (1998) under the supervision of Professors Tony Stace and Sir Harry Kroto. She worked as a post-doctoral researcher for Tony Stace for 3 more years, before moving to University of California Santa Barbara to work with Mike Bowers. As an MRC Postdoctoral Fellow at the University of Edinburgh, she helped establish a Centre of Proteomics (SIRCAMS). Professor Barran was awarded an EPSRC Advanced Research Fellowship (March 2003) to study the structure and dynamics of model peptides and proteins in the gas phase. The Barran group have developed IM-MS instrumentation to investigate changes in protein conformation and aim to understand biological systems using mass spectrometry based techniques in conjunction with collaboration with biologists and biomedical research groups. In 2009 in recognition of her achievements Barran was awarded the inaugural Joseph Black award by the RSC Analytical Division.